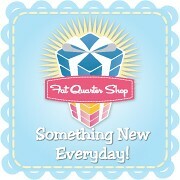 Welcome to all our new friends visiting from Sew Mama Sew, Pinterest, FaveQuilts or other spots! We hope you'll enjoy yourself, subscribe and like us on Facebook for updates. Happy browsing! I decided to leave the edges raw, so they fray a little bit. 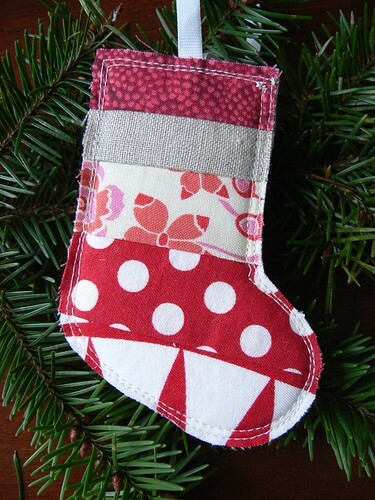 I think that's part of the charm of this scrappy stocking, but if you don't like that style, you can use that fray spray, or sew the stocking right sides together and turn it inside out. 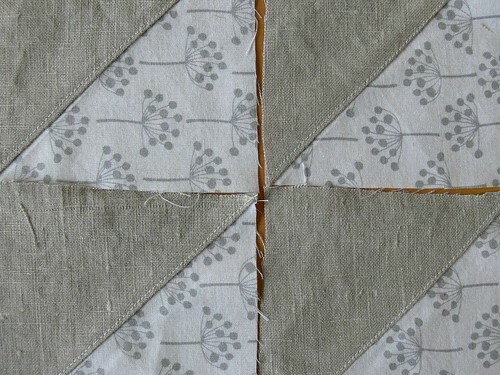 My tutorial will show you how to make the raw-edges top-stitched wrong-sides-together version shown in the above photo. Here we go with the tutorial (if my kids let me focus long enough, oy). Today is CYBER MONDAY! So many shops and companies are offering great deals for doing your holiday shopping online today. How about a little round-up of our sponsors and their special deals? 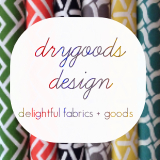 Drygoods Design Online is offering 40% off (that's right FORTY) your fabric order of $40 or more with the discount code HOLIDAY40 (good through Dec 14). This shop is a fabulous source of modern fabrics. Owner Keli's handmade goods shop Bread & Salt is full of beautiful gift items too. Fat Quarter Shop is offering 25% your order to celebrate Cyber Monday. Use the code MONDAY11 at checkout (good through Dec 1). 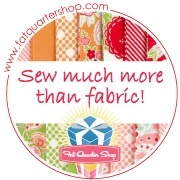 We love this shop for quilting fabrics, patterns and pre-cut bundles. Tons of great stuff! A Child's Dream Come True is offering $5 off your order over $50 with the code JOY (good today only). 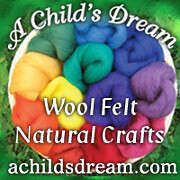 A Child's Dream is our favorite place to purchase wool felt, wool roving and other natural crafting supplies. They have a wonderful selection of children's toys and art supplies too! 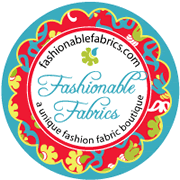 Fashionable Fabrics is offering 5% off orders over $50 with the code BF5 and 10% off orders over $100 with the code BF10 (good through Dec 5). Fashionable Fabrics is a great spot to find unique novelty fabrics. You can always find great deals in their Sales and Remnants sections. Happy online shopping! We hope you score lots of great deals. Hello Angel and friends! I'm popping by today to quickly share a few projects. Some completed, some still in progress. 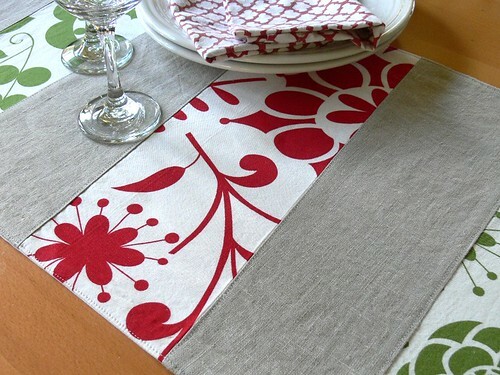 First off, I finished two Christmas table runners. Here's a glimpse of one below. If you're curious, I shared more photos as well as my original sketch on my website, since these were made for my shop. I've already sold one, whee! The other one is still available. I really like how these came out with the large wonky stripes and the contrast with the textured linen. I have more in the works, that are not Christmas-themed, including one for our own dining room table!! And now for the works in progress... Some of these are gifts, so I won't divulge any details. I'll just let the pictures do the talking! As you can tell, I am completely unashamedly obsessed with linen at this point. Well hello there! Sorry I've been M.I.A. this week. There has been sickness in the house, and for once, I've been sicker than everyone else, which has sucked! There has also been craziness in the house: I had a big custom holiday order due in the mail yesterday (I washed my hands a lot, don't worry). Throw in the usual amount of sleep deprivation and two-small-children-in-need-of-attention shenanigans. Stir. And you get one overwhelmed, pooped out mama! I've missed this place though and have so many things to share! I've been cranking out a bunch of stuff for the Etsy shop, both because the holidays are coming and I would like it somewhat stocked, and because I am on inspiration overload lately. Too. Many. Ideas. But, I should backtrack a little and show you the birthday gift I finally finished for my mom. My mom's birthday is on July 26. I'm a little bit late, ahem. 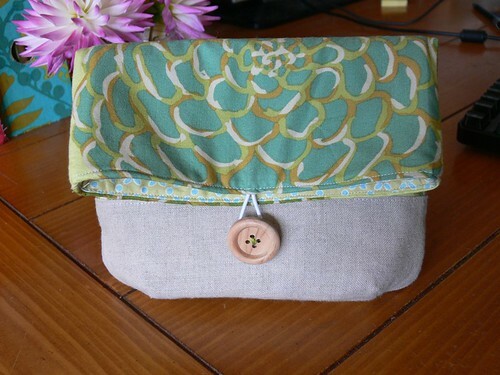 Originally, I wanted to make her a pocket pouch, using jute upholstery tape as an embellishment somehow. I got stuck on that idea and couldn't figure out how to make it work. I shelved it for a while, then decided to use linen instead and to round up the bottom and add some darts, a little bit like that clutch. I have long been a fan of Betz White's blog, books and wonderful upcycling projects. She is the green queen in the world of sewing and crafting! When she contacted us to participate in the blog tour for her new Fab Felt Holiday Crafts workshop on Craftsy, Angel and I were thrilled! I am so excited to share the project I've made from the workshop today. Angel will be sharing hers next week. In the Fab Felt Holiday Crafts course, Betz shows you the basics of felting wool sweaters, and then takes you through the steps to make 7 beautiful felt projects, from a tabletop village to ornaments, bottle sleeves, slippers and more. 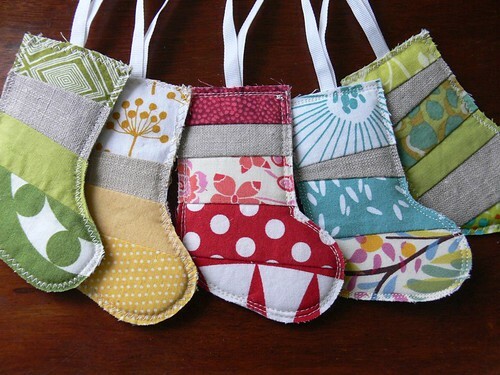 Perfect for holiday decorations and gifts! Good morning! I hope you had a lovely weekend. Angel, I hope you had fun selling your needle-felted beauties at the Elves Faire. I know you've been working hard on your soon-to-open Etsy shop. Can't wait to see it!! 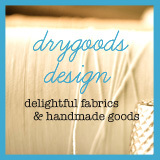 I ended up sewing, sewing, sewing -- both personal projects and items for my Etsy shop. Can't wait to share them all soon! 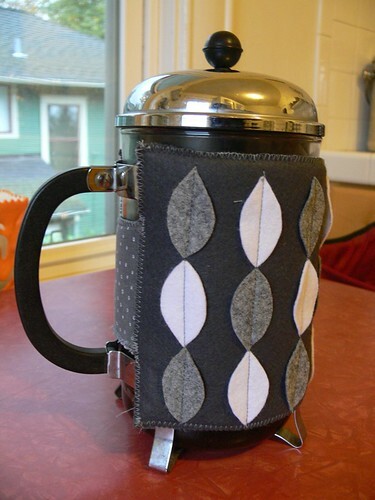 Let's start with one thing I finished this weekend: a French press cozy! 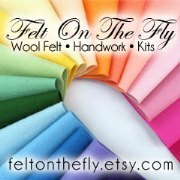 The pattern is from Stash Happy: Felt by Amanda Carestio that we just reviewed last week. This book is seriously awesome. I love so many of the projects and couldn't decide what to make first. However, the constant frustration at pouring cold coffee in my mug made the decision for me! French press cozy it was! Hello there and happy Friday! 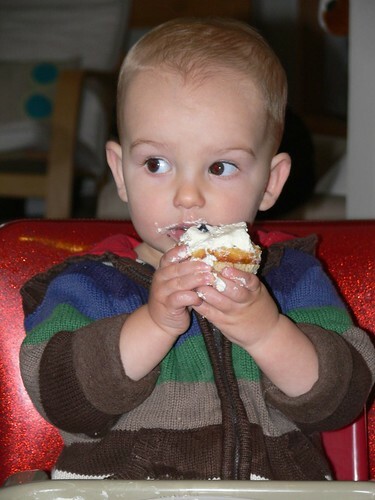 I've been working away, as time (and kids!) allow, on new things for my Etsy shop. Time is flying and the holidays are a-comin'. It would be nice to create and finish a few things that have been living in my head before then. Embroidering the bark onto the trunk fabric made me want to research interpretations of birch trees in the arts. 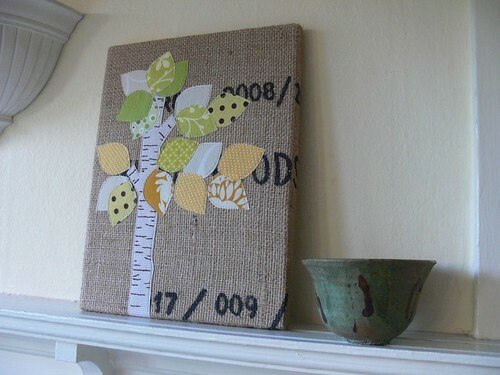 And that led to my creating a "Birch" treasury on Etsy. There's such beautiful stuff out there!! Here it is, after the jump. Enjoy!